Rye, New York, is located in beautiful Westchester County. Possessing both forests and beaches, it’s a gorgeous oasis just a short drive from New York. Rye is best known for the Rye Playland, a historic amusement park with a charming wooden roller coaster. Rye is also known for having a beautifully historic downtown with amazing restaurants and charming shops. Rye is also home to some truly incredible wedding venues! 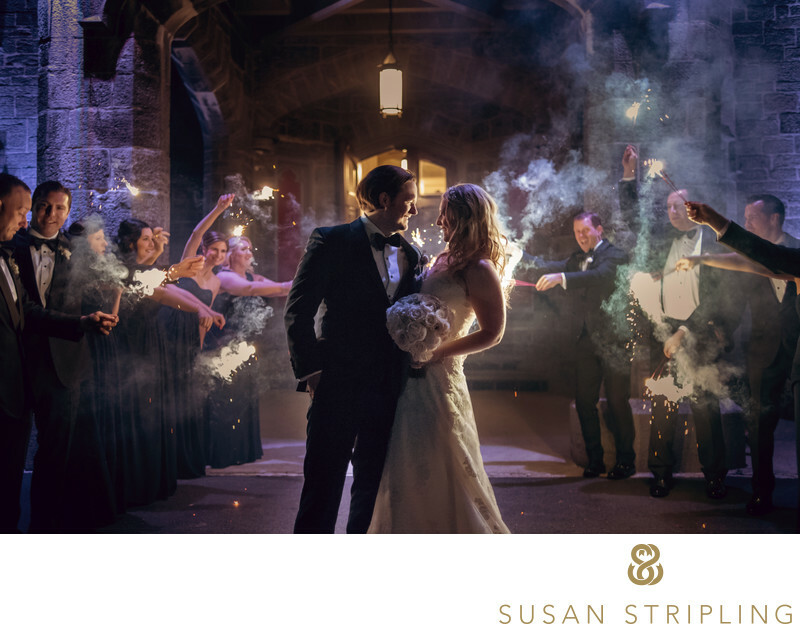 Westchester is a very popular wedding destination for New York brides and grooms, and Rye is one of those spectacular locations. It’s the perfect spot for a city couple who wants to get away from that same city to get married! Westchester is known for sweet small towns and gorgeous scenery. What more can you want when looking for a place to get married in New York? I know that many New York residents want a destination feel to their event, but don't want to have to hop on a plane. The Rye area is far enough away from NYC to feel like a fantastic destination getaway. It is also close enough that Manhattan residents don't have to travel far to get to your wedding - which are huge wins all around! Whitby Castle is one of Rye’s best known wedding venues. Whitby Castle is a glorious historic mansion and flawlessly manicured golf club, which makes for a wonderful wedding venue combination. The Wainwright House is also another Rye-based wedding venue with a gorgeous waterfront view. Another popular Rye wedding venue is the Marros Estate, yet another sprawling stone mansion. Yet another Rye venue is the Coveleigh Club, a waterfront mansion with sprawling lawns. 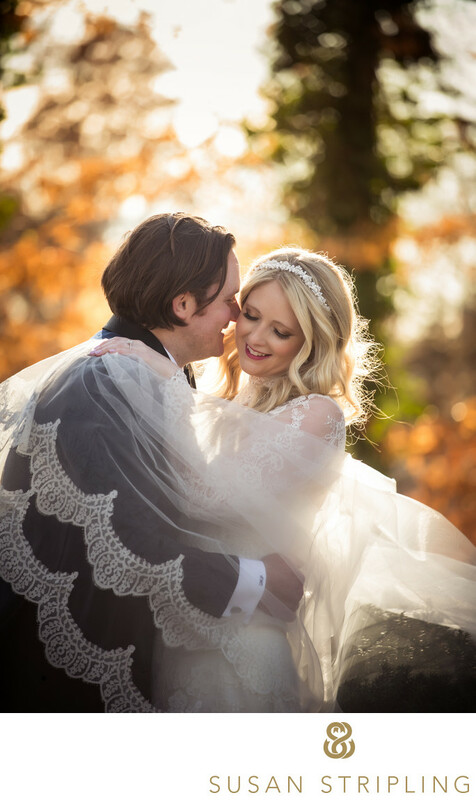 I loved shooting this fall wedding at Whitby Castle. It's a spectacular location for wedding photos. I love so many things about this picture that I feel really exemplify a Rye wedding. I adore the bride's gorgeous gown. She wore a strapless dress that had a white lace bolero top to accompany it. The top buttoned up the back and had long lace sleeves. This was super dramatic because it had all of the benefits of having a second dress without having to actually have a second dress. I love how she left her hair down. It was a great contrast to the prim elegance of the lace sleeves. I also adore that she had a long veil. It caught the wind and billowed out dramatically in her wedding pictures. The foliage was in peak season during this wedding, and I was so happy to be able to capture it in this wedding portrait. I love the explosion of red and orange behind the bride and groom! It really gives this image an excellent sense of time and place. While I am primarily based in Brooklyn, New York, I do have a car to drive to weddings. I think this is crucial, as it means that transportation is no issue! I would never want to rely on a rental car or a train to get me to your wedding. We take reliability very seriously, and having a car is part of that. 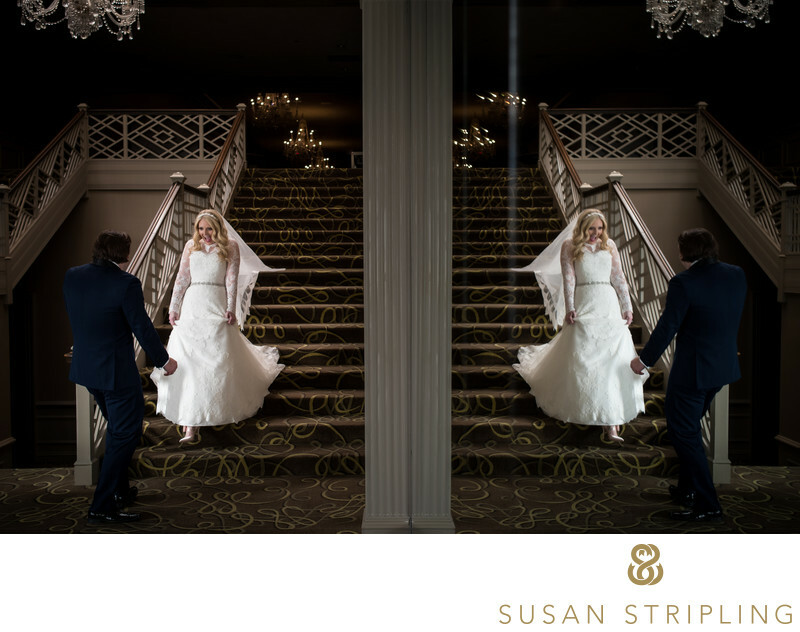 I love traveling to Rye, and would love to talk to you about your Rye wedding! 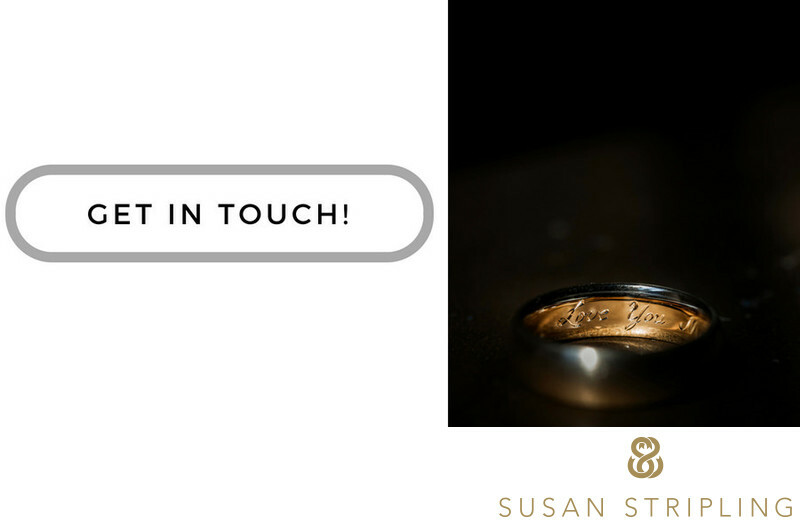 Please don't hesitate to drop me an email or give me a call. I hope to connect soon! Location: 330 Boston Post Rd, Rye, NY 10580. 1/400; f/4.0; ISO 320; 200.0 mm.